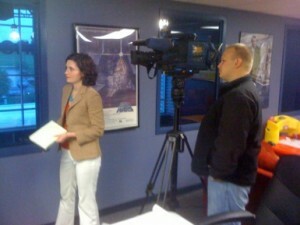 On May 11th, 2010 Marie Cusick reported a story on podcasting featuring The Lancast for Blue Ridge Cable TV news. They also interviewed Max Phillips from Creatively Wired, another podcast from Lancaster. The interview with us took place at Penn Cinema during the recording of our latest episode with Penn Ketchum and Andy Tuzzino. We took a vacation this week while our equipment was on loan to PAPA (Podcast for the Advanced Photo Amateur). We hope you enjoy this clip from our fifteen minuets of fame on Blue Ridge Cable TV. If you get some time check out PAPA and we’ll see you next week.